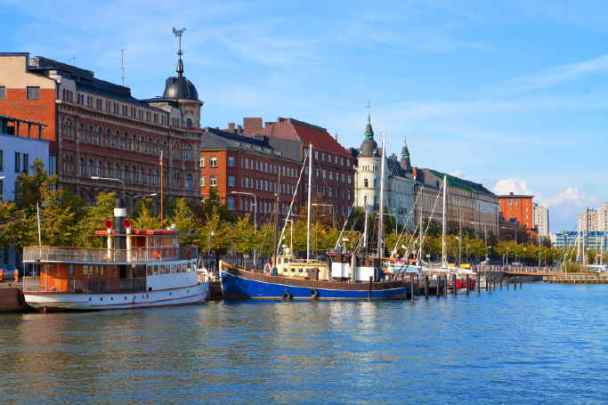 Visit the Baltics and travel across the Gulf of Finland to Helsinki, the capital of Finland. If you scroll down you will find the tours to the Baltics with an extension to Helsinki! 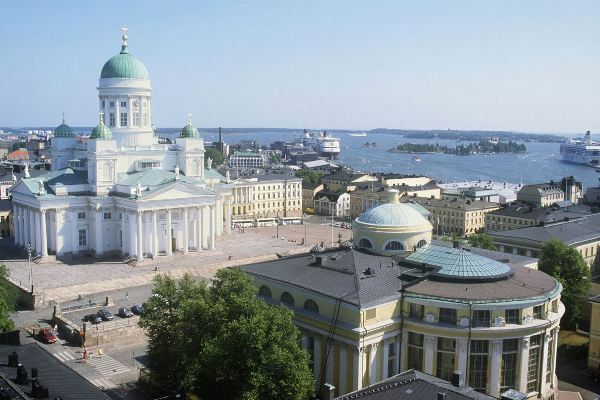 The capital and largest city of Finland is located in southern part of the country, on the shore of the Gulf of Finland. It is just 80 kilometres away from Tallinn, capital of Estonia, and 300 kilometres away from Saint Petersburg, one of the most beautiful cities in the world. Helsinki was first established as Helsingfors in 1550 by Swedes and became a capital city only in the beginning of the 19th century. And that is when the city started to grow! TOUR OF THE CITY. One of the most important places you will visit on your city tour in Helsinki is the Neo-classical Senate Square. That’s a place in the city where you can still feel the presence of both Russia and Sweden. Four buildings dominating the square will take you back to 19th century. And although they are all interesting and worth seeing Helsinki Cathedral is arguably Finland’s most famous building. You will also see the City Hall and Presidential Palace which were both built to have a different role in Helsinki. 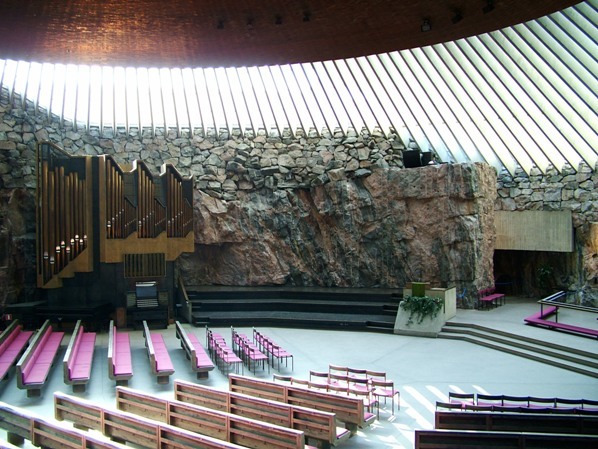 If the Cathedral is the most famous, the Temppeliaukio Church has to be the most unusual in Helsinki – it is a church that is built in rock. And when you also add the monument for a world famous composer Jean Sibelius you will have quite a lot in Helsinki covered already. There are many more places to see though and the tour guide will tell you all about them to make sure you have a full Helsinki experience. And do you know why Helsinki is called a miniature Saint Petersburg? Let us show you the reason when you get here! ISLANDS. 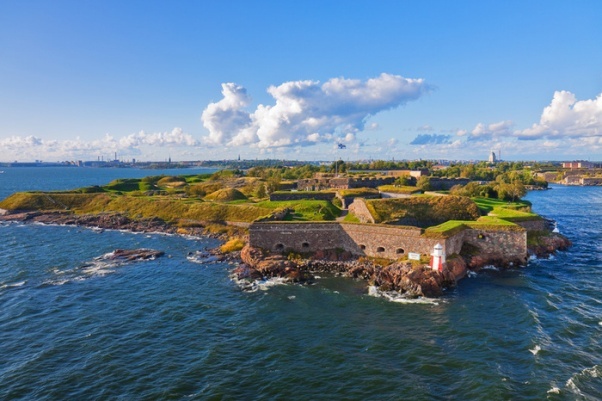 If you feel like taking a little tour to an island in Helsinki, a good choice will be the Suomenlinna fortress. Founded in 1748 it is one of the biggest sea fortresses in the world. It is included in UNESCO World Heritage List as a unique monument of European military architecture. We think it is a place worth seeing when you are in Helsinki and we will arrange an optional tour for you to see it! The fun part. How to get to Helsinki. The city has very good flight connections with the rest of the world if for some reason you want to start your tour here or if your tour ends in Helsinki. But if you take one of our tours, we will usually take you to Helsinki by ferry from Tallinn. Or we might go there from Saint Petersburg. So you don’t really have to worry about getting there. Scroll down to see the tours to the Baltics with an extension to Helsinki!